As we approach the 4th of July and fireworks displays, it is important to remember fire ordinances and regulations for your area of residence. Issue 1, May 1992. 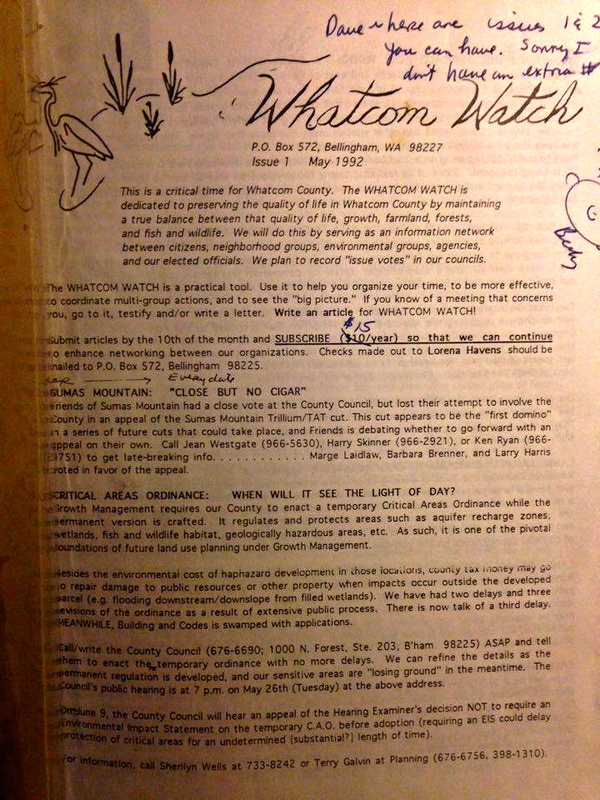 Truly a grassroots endeavor: Rebecca even hand drew the title and wetland heron that appeared on the early Whatcom Watch home-based newsletter. Click the graphic to read some of the original content in the first edition. Note: Rebecca Meloy and Barbara Perry have created the new Facebook group, Whatcom Watch Original, that this Facebook post of Rebecca’s describes. Click the graphic to access video of the June 22, 2016 Bellingham City Club luncheon forum event.